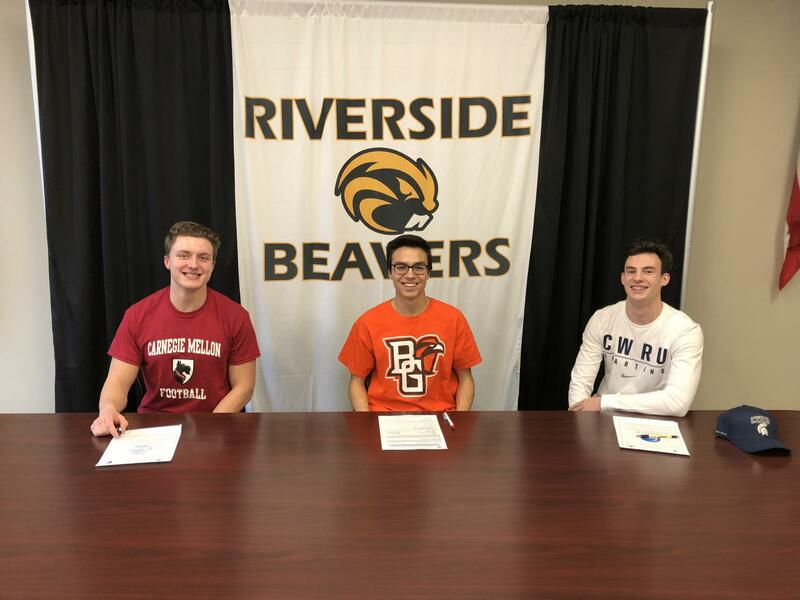 Congratulations to AJ Haffa, Nick Mlakar and Mike Wojkowski for signing their National Letter of Intent to continue their athletic careers in college. AJ Haffa signed a National Letter of Intent to run Cross Country at Bowling Green State University, which is a Division I school in the Mid-American Conference. Nick Mlakar signed his National Letter of Intent to play football at Carnegie Mellon University and Mike Wojkowski signed his National Letter of Intent to play football at Case Western Reserve University.